Fire-Rite installs ID2000-based system following successful implementations in Newcastle, Glasgow and Birmingham stores. 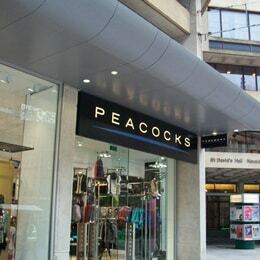 Headquartered in Cardiff and with more than 500 stores nationwide, leading value fashion retailer Peacocks has chosen a Notifier by Honeywell system to provide comprehensive fire protection for its latest store in the new St David's shopping centre development in Cardiff. At the same time, Notifier equipment has also been fitted in the neighboring Bonmarché women's fashion store, also part of the Peacocks group. The ID2000-based system, which includes full disabled refuge provision to meet the requirements of the Equality Act, October 2010, has been installed by Notifier engineered systems distributor (ESD) partner, Fire-Rite, based in Caerphilly. This builds on Fire-Rite's continuing success with Peacocks, which has included the recent fitting of Notifier fire safety equipment in other major stores in Newcastle, Glasgow and Birmingham. "Notifier solutions are ideally suited to retail environments such as Peacocks," confirms Gareth Selway, chief engineer, Fire-Rite, "as they are highly flexible in precisely meeting the particular requirements of each individual store. "Equally importantly, Notifier systems are simple to install and highly user-friendly, making them extremely easy for store staff to operate, at the same time providing the highest levels of fire protection."